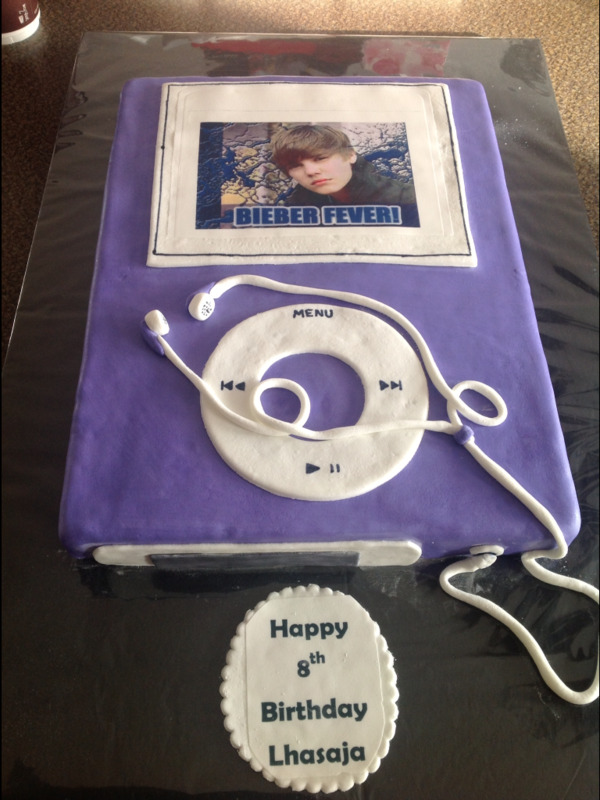 I got a request for this Justin Bieber Ipod cake for an 8 year old girl who loves Justin Bieber. I made the IPod by shaping 2 9×13 cakes, covering them in butter cream and then MMF. I also used the fondant for the details, including the headphones and buttons. Then I wrote the scrolling symbols with food coloring marker. I printed out a picture of Bieber on edible paper and VOILA, a perfect IPod. She adored the cake.